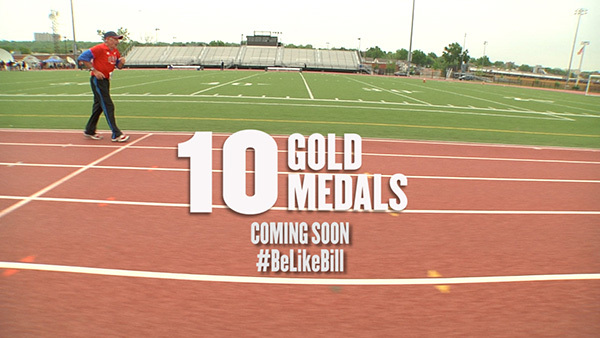 Set against the backdrop of New York City’s least-beloved borough, 10 GOLD MEDALS tells the story of an 85-year old track coach from Staten Island and his quest to win gold in ten different events at the state Masters track and field championship. As a runner, coach and documentarian I’ve learned a few things about failure. I’ve been on the losing side of many more track meets than I’ve won. And my work has been rejected from more film festivals and TV outlets than then I could keep track of. Failure is a part of life that we all confront and the fear of failure can, at times, prevent us from even trying – it certainly has with me. But meeting Bill Welsh, a track coach from my hometown of Staten Island, was eye opening. Here was an 84 year old widower who runs track meets and half marathons and 10K’s every weekend – no matter what the weather or what ails him – and finishes last in almost everything he tries. He’s completely lost the part of his ego tied to winning. The competitions he enters have a higher purpose which we reveal throughout the course of my documentary about his attempt to win 10 Gold Medals in one single state championship track meet. His focus on the present-effort instead of the future-outcome inspired me as a person and filmmaker. I see his story as a parable about sports showing us the unique greatness we each possess. And I define greatness not only as accomplishments – but also how one deals with adversity. When the focus becomes solely on winning, we lose the purity that sports can provide and wind up with the joyless professional athlete whose unbridled lust for fame and gold drives him to win at any cost. 10 GOLD MEDALS is also a postcard to my hometown of Staten Island which was badly damaged by Hurricane Sandy in October 2012. It’s a story of hope and recovery told through the eyes of a man who sees things a little differently than you or I. Finally this is a love letter to the sport that taught me how to lose and yet move forward, and gave me more fond memories and friendships than any gold medal could offer.